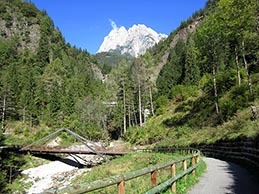 The Dolomites cycle trail is one of the most enthralling routes to follow on two wheels in the whole of the Alps. You pedal along through stunning landscapes with breathtaking views of some of the most famous peaks in this UNESCO World Heritage Site. 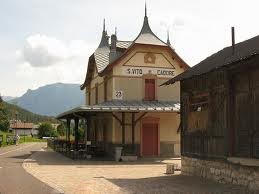 The itinerary (about 60 Km) starts off in Dobbiaco, faithfully following the route of the railway built during World War I and taken out of service in 1962, to Cortina d&apos;Ampezzo and finally Calalzo di Cadore. 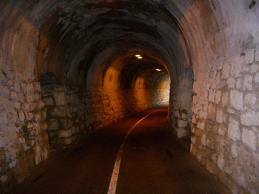 If you want to pedal on, you can head for Belluno passing through Longarone, sadly famous for the 1963 Vajont dam disaster.